Xavier school of management, XLRI, is one of the top business schools in India. Established in 1949, the institute always try to bring a change in the society. With a strong portfolio of education programs and publications, XLRI always attract students who want to pursue their career in the field of business management. XLRI’s full time MBA programme is quite popular in the industry but if you’re doing a full-time job and cannot attend a full time course, you can join an online postgraduate certificate course in the field of 'Business Management', 'Human Resource Management', 'Logistics and Supply Chain Management', 'Retail Management', 'Sales and Marketing Management'. XLRI offers these courses under its Virtual Interactive Learning (VIL) arm. The Virtual Interactive Learning (VIL) arm of XLRI offers a couple of management certification courses with 12 month of duration. These courses are offered through XLRI technology partners like Hughes India and VCNow. Students can take up these courses while doing a full-time job. After completion of the course, they will be awarded with a "Postgraduate Certificate". What is the objective of XLRI Distance Learning postgraduate certification courses? XLRI distance learning courses provides critical knowledge of management issues to students so that they can apply this knowledge in their workplace. These courses also give understanding of complexities and challenges within their respective fields of management and also equip them with skill-sets that they can use in their day-to-day operations to handle those complexities and challenges. Students also learn critical aspects of management processes. XLRI offers 4 long duration distance learning courses. The duration of all the four courses is 12 months. The best feature of these courses is 5-days campus visit. All students get a chance to spend 5-days in the campus. The dates of their visits are informed in advance so that they can apply for leaves. During their visits students get a chance to meet faculty members and network with peers. These distance learning courses are being offered by XLRI in collaboration with its technical partners of virtual classroom. Along with their Long Duration courses, XLRI also offers 15 short duration distance learning courses. These are sector specific courses which are delivered via Direct to Desktop (D2D) technology. These courses are available through more than one technical partner and students can take up these courses through the week or during weekends. After completing the short duration course, students are awarded with the certificate of completion. Students may apply for long duration courses after the admission process is open. Students are required to fill up the application form and submit the required application fee. Shortlisted students will be called for the interview and the final selection will be done based on the candidate’s interview performance. The admission process for long duration courses is started 4 months before the academic session starts. For short duration courses, students may apply through XLRI website. On XLRI website, students may get the information about the courses in which admissions are open. They can register for the programme by filling up the online registration form. Eligibility criteria for these courses differ course to course. For admission in these courses, a work experience from 2-10 years may be required. Students can get the information about the eligibility criteria for individual courses from XLRI’s official website. Who should join XLRI Distance Learning Courses? XLRI online courses are designed for working professionals who are already working on managerial positions. That means, people who have significant experience in their field should join these courses. 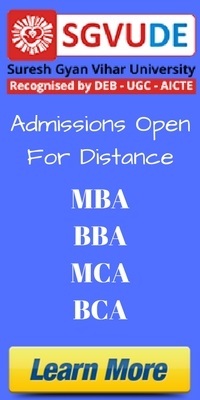 These courses are costly compared to the other MBA or PGDM courses available in the market. You should only join these courses if you really have that much budget and thinks that these courses can add some value to your career. Clear all of your doubts in advance from your admission counselors before you take an admission. Long duration courses also require a 5-days in-campus study, ask your employer in advance if they can allow you a 5-days leave when required.